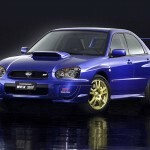 What the difference between tw0 wheel drive and four wheel drive? The Four Wheel Drive Is Different To Two Wheel Drive. Four wheel drive technology has been used for more than 50 years and has proven itself in conditions where roads are practically non-existent and terrain is unforgiving. All wheel drive vehicles came of age about 15-20 years ago and are a great option to have when the drivers have to tackle wet, snowy or slippery roads in the majority of their driving. All wheel drive has become synonymous with high-speed full-time engaged drive systems while four wheel drive has been applied to all-terrain vehicles that use a transfer case to add a very low gear range to the vehicle’s transmission. Car makers have name these systems “Real Time four whee drive”, “intelligent all wheel drive” or “active all wheel drive”. These drive systems become all wheel drive when slip sensors in the wheels detect a condition which the traction control software monitors. The control software then activates the system to improve traction and vehicle control. Honda uses this type of automatic all wheel drive, as does Mercedes-Benz with their four-matic system. Due to its on-call nature, engineers refer to this system as an on-demand system. Four wheel drive off-road vehicles use a transfer case. This means the front and rear axles are locked together and turning the same speed all the time. The transfer case also provides low range gearing, which multiplies the engine’s torque greatly, allowing the vehicle to tackle the roughest and steepest roads. The low-range gearing effectively adds another set of transmission gears to the vehicle. The transfer case function is to transmits the drive power. Most cars and consumer vehicles operate with what is known as a two-wheeled drive or two wheel drive, where the propulsion only occurs in the front two or rear two wheels. If the power is transmitted to the rear two wheels via the propeller shaft to the differential. The rear wheels drive receive the power from differential via side shaft. The power from the gearbox is transmitted to the front wheels via drive shaft equipped with cv’s joint assembly. Vehicles with a 4×4 transmission provide strong automotive power. That said, these vehicles are little low at fuel efficiency Anybody pinching coins when filling up at the petrol station shouldn’t really be using a four wheel drive vehicle. Further, the added transmission design makes four wheel drive more expensive when it comes to repairs versus the same needs in a two wheel drive vehicle. I, Fouzi thank you for subscribe and visit my website. My Car Symptoms, is my new e-book subscribe now is limited edition. 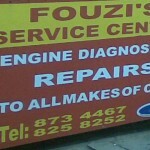 If your car is in need of maintenance and repairs contact me at Fouzis Service Centre for free quotation and prices. Four wheel drive parts and tires visit this stores here. A lot of people get confused over the difference between a 4wd car and an all wheel drive car. When it comes to it, the differences may be subtle but they make a massive difference on what you can do with the vehicle. You will find vehicles that are AWD tend to be smaller in size, and they have less clearance. Basically an AWD vehicle is able to go off road, but is not able to do anything too severe. They may be able to drive on the beach, but if it gets soft then they will struggle. A 4wd car distributes the power evenly across all four wheels, or more to the wheels that have less traction. AWD cars function differently, and they also lack low range. AWD vehicles are always in that mode, whereas most four wheel drive vehicles are used mainly in 2wd for when you are on the bitumen, and then four wheel drive is selected when you want it. What this means is that for any serious four wheel driving you are unable to drive slowly, which is a huge problem for descents down hills and crawling over rocks. All Wheel Drive cars tend to be less strong as well, which means that if you give them a flogging off road then they are more likely to break. Basically it comes down to what you want to do with the vehicle. If you want it primarily for driving around town with a bit of light four wheel driving every now and again then an all wheel drive vehicle may suit you. If however you want to go touring or more serious four wheel driving then get something which has low range and is a true 4wd. What Are Difference Between Two Wheel Drive And Four wheel Drive ? 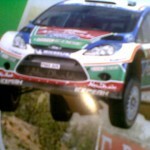 The two wheel drive are cars in which only two wheels receive the power from the engine. On the other hand four wheel drive receive the power from the engine for all four wheels at same time. Hands the varied names cars .i.e. four wheel drive, all 4 wheel drive, or 4×4. The phrase 4×4 is self explaintory. The four wheel drive has system to direct power to all four wheels. On four wheel drive is an add-on system that works in conjunction with two wheel drive components. The latest vehicles are equipped with transfer case, is attached directly to the rear of the transmission. The transfer case function is to transmits the drive power to both, the front and rear differentials though two other drive shafts front and the rear. The front differential is mounted below the engine and connected to the front wheels by two drive-axles which turn the wheels when your car is in the four wheel drive mode. There free running hubs are used when are unlocked allow the front wheels to spin while your vehicle is in the two wheel drive mode without rotating the drive-axles and the front differentials, thus reducing wear in these components. When your car is switched to the four wheel mode, the hubs should then be locked to engage the wheels with the drive axles. The new models cars today comes with an automatic-locking front hubs, eliminating the need to jump out and manually lock the hubs when the transfer case is engaged in four wheel drive mode. Is no difference between the rear differential and the axle assembly you can find in the two wheel drive. I, Fouzi thank you for your visit and subscribe for free information,quotation and prices. If your four wheel drive is in need of maintenance or repairs click here to schedule an appointment.